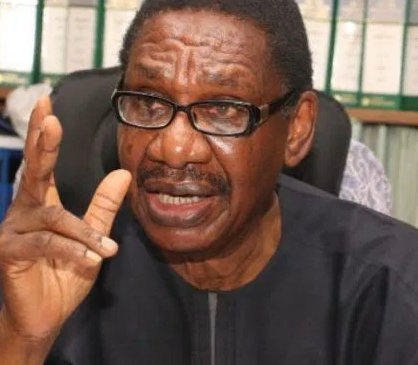 Chairman Presidential Advisory Committee Against Corruption (PACAC), Itse Sagay, has once again come hard on members of the Senate over what he describes as their frivolous allowances and jumbo salaries they collect for sitting for few hours in the chamber. In a chat with The Nation, Sagay decried the list of allowances senators collect just for occupying the National Assembly. Recall that Sagay on September 6th at a lecture in Lagos, said that each member of the Senate collects as much as N29 million as monthly salary and N3 billion per annum. He gave the breakdown of the salary of N29 million naira per month as follows: Basic Salary N2, 484, 245.50; Hardship allowance, N1,242, 122.70; Constituency allowance N4, 968, 509.00; Furniture allowance N7, 452, 736.50; Newspaper allowance N1, 242, 122.70; Wardrobe allowance, N621,061.37; Recess allowance N248, 424.55; Accommodation N4,968,509.00; Utilities N828,081.83; Domestic staff N1,863,184.12; Entertainment N828,081.83; Personal Assistant N621,061.37; Vehicle Maintenance Allowance N1,863,184.12; Leave Allowance N248,424.55; Severance Gratuity N7, 425,736.50 Motor Vehicle Allowance, N9, 936,982.00. Members of the Senate released a statement in which they called on President Buhari to caution Sagay whom they described as a loose canon. They called on Sagay to tendered an unreserved apology to them. Read here. In the Interview with The Nation, Sagay said it is unfair for Nigerians to be using their tax to pay for a senator's agbada or buying him utensils in his home. "If you look at the allowances, Nigerians need to ask themselves questions. Should we be the ones clothing Senators? Should my tax be used in hanging Agbada on a Senator? The press has not taken it up, but this is serious. How many times have government provided clothes for you, and yet you’re clothed. But these men who are overpaid, who are absorbing the largest share of our resources are still asking us to clothe them, as if they arrived in Abuja naked. It’s not acceptable. These same people are collecting huge sums, claiming that they’re suffering hardship by doing their job. If you go to the Senate chambers, you will see the luxurious furnishing, fully air-conditioned; you’ll see staff running around, attending to every little thing they need, serving them, hand and foot that is hardship. What about the man who is earning N18,000 a month, who’s carrying machinery, working in a factory, cutting grass on the road, cleaning the roads, sweating with hard labour. Nobody is paying them hardship allowance. But the people are paid hardship allowance for living in tremendous luxury. They’re claiming utility allowance. In other words, if we don’t give them money, they don’t have cutlery, tablecloth, plates and saucepans. We have to provide those for them. The list goes on. It is criminal. It is unconscionable. It is wicked for people who are so highly privileged, who are the wealthiest people in the country to still be sucking our blood dry by collecting these things which they don’t need and depriving others of them".